Was Russia’s Infrastructure the Real Winner of the 2018 World Cup? 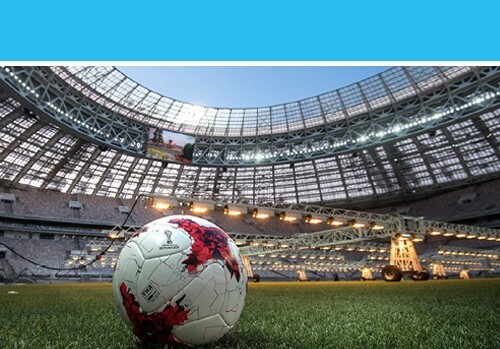 The French national football team may have been the official champion of the 2018 FIFA World Cup, but behind the scenes, this massive global sporting event may have had another winner: Russian infrastructure. As the host country of the 2018 World Cup, Russia has spent several years and 678 billion rubles ($11 billion USD) preparing for the influx of tourists who would come to watch their teams’ matches. Stadiums were renovated and built, public transportation systems were improved, and construction projects were completed in major cities across the country. Russia wasn’t just investing in a month-long experience for die-hard football fans; it was investing in its own future. Russia’s infrastructure expansion plans didn’t end with the final FIFA match, either. The upcoming Winter 2019 Universiade – an international youth sports competition to be held in Krasnoyarsk this coming March – has also prompted large-scale construction projects like railways, airports, hotels, hospitals, and even a winter sports complex. The improved infrastructure and construction is positioning this large but remote Siberian city as a future location for regional and international sporting events. Ekaterinburg is bidding to host EXPO 2025, a huge international expo sanctioned by the Bureau International des Expositions (BIE) in Paris. One of three finalist cities with a bid in for the EXPO, the event would further transform Ekaterinburg’s infrastructure, expanding on the impact of previous events like the 2018 World Cup. Moving ahead even further, President Vladimir Putin has suggested that Russia could put a bid in for the next available Summer Olympics, which would be in 2032. That … would, of course, be another massive event on the world stage, one that would no doubt greatly impact infrastructure plans in the host city and surrounding areas. Recent and pending international events and construction projects point to a need for equipment and resources that can continue to propel construction. Manufacturers of heavy machinery may want to take note and evaluate their market strategy in Russia. Want to learn more? Download the full white paper here, or contact us to start finding your place in Russia’s construction market.